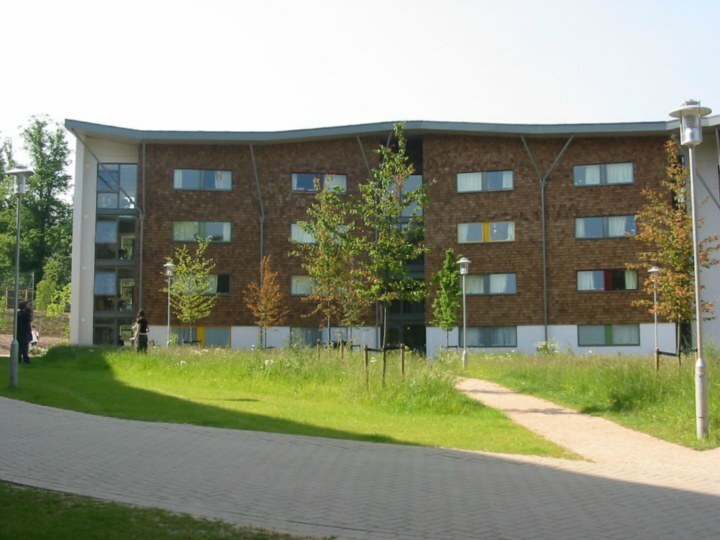 Accommodation for 600 students was built on this greenfield site on the edge of the Royal Holloway campus. Adjacent to woodland, the development takes the form of a clearing in the woods. 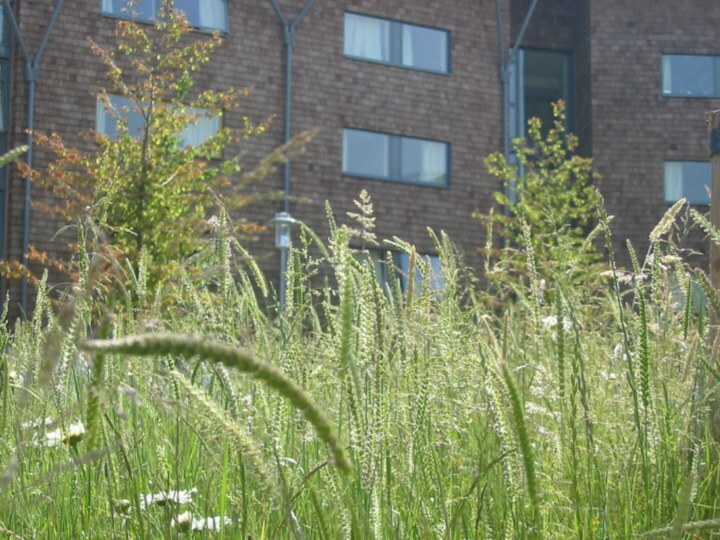 With newly planted native trees, and cedars which are a motif of Royal Holloway's landscape, a grassland meadow was created inside the development, criss crossed by paths. Green hay seeding ensured that locally abundant species were spread.